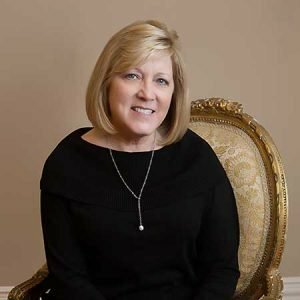 Cindy Aaron was raised in Burleson, Texas, and loved it so much she chose to raise her two sons here also. She has been blessed with two grandchildren and anxiously awaits the impending arrival of the third. She received her Bachelor of Science degree in Criminal Justice from Texas State University, and is a graduate of the 233 class of the F.B.I. National Academy. Cindy joined the Burleson Police department in 1977 as an officer. She worked in almost every area of the agency, retiring after thirty-eight years as Deputy Chief. In addition to her service with Burleson Police she served over twenty years with the Commission on Accreditation for Law Enforcement Agencies as an assessor and team leader. Traveling throughout the United States and Canada, she worked to ensure that police agencies fulfilled best practice standards to achieve and maintain accreditation status. Cindy has held membership in several career organizations as well as civic organizations including the International Association of Chiefs of Police, Texas Association of Chiefs of Police, Texas Women in Law Enforcement, TALON Accreditation Coalition, Burleson Chamber of Commerce and Burleson Chapter of the Lions Club. She has been involved in volunteer work through the BISD, her church and several organizations. Her work in the community provided the opportunity to work alongside and often observe the contributions made by the women of the Athena Society of Burleson. Receiving the Athena award was more than an honor for Cindy. She saw it as a challenge to reach the same level of service the wonderful women of the Athena Society of Burleson had already established.